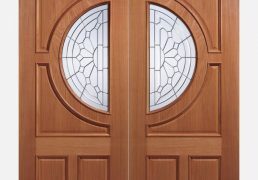 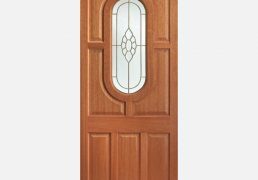 This hardwood door design features an oval shaped brass double glazed centre panel with raised shaped panels and a dowel construction. 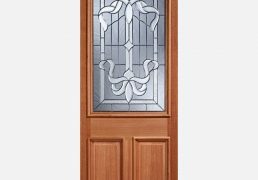 This attractive Cleveland door design features a decorative zinc double glazed panel with raised shaped panels in a hardwood material. 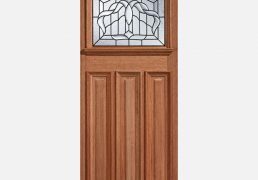 This Cottage door is made from hardwood and features a lead double glazed panel, raised moulding on one side and a M&T constuction. 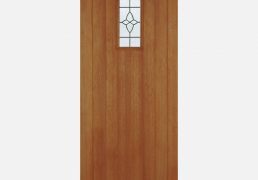 Two rectangular zinc double glazed panels and two raised shaped panels in a hardwood material make this Derby door design so appealing. 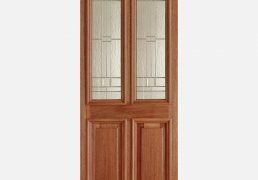 Make a statement with this Empress door design in hardwood, featuring a shaped zinc clear bevelled double glazed panel and raised moulding. 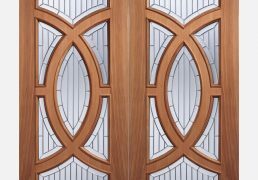 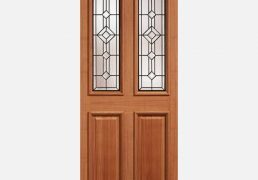 This stunning Majestic door design features shaped zinc clear bevelled double glazed panels, raised moulding and a beautiful hardwood finish. 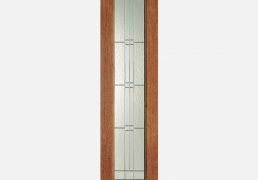 Complement your door design with this Elegant Sidelight, featuring a zinc double glazed panel and an attractive hardwood material. 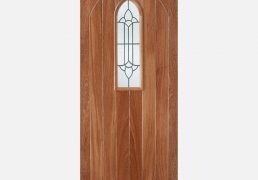 Crafted from hardwood, this Westminster door design features a lead double glazed panel with curved top and an M&T construction.